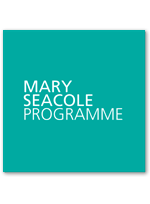 Last year I enrolled in the NHS Leadership Academy Mary Seacole programme, run through the Open University. I am please to announce that I have successfully completed the course and was awarded both a Postgraduate Certificate in Healthcare with Merit and the NHS Leadership Academy Award in Leading Care I. The leadership initiative that I developed during the course was a ward round checklist to improve safety during rounds for inpatients. This based on similar work developed for peri-operative safety by the WHO. I am now about to start the NHS Leadership Academy’s Elizabeth Garrett Anderson programme, which is run through Birmingham University – I am looking forward to getting my Uni Student card – the last time I had one, I had a full head of hair and no grey! This course will result in an MSc in Leadership.